Hilltop B&B Located 3 miles NW of Carrigaholt on the spectacular Coast Road Scenic Drive. Carrigaholt B&B Located in the heart of the village, this B&B has plenty of heart. Carraig Nua Farm House B&B Newtown, Doonbeg. Ideally situated between Kilkee and Doonbeg. Friendly & warm family atmosphere. Awarded Gold by Ecotourism Ireland. 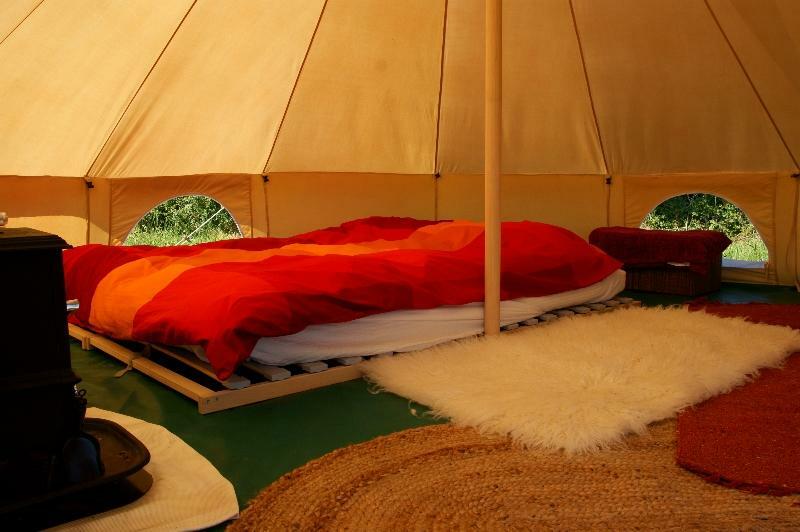 Eco-campsite offering bell tents, "glamping", wood-fired pizza oven, sauna, & yoga in an idyllic setting with views of the Shannon, native woodlands, donkeys, hens & more! Great for kids! 200 year old renovated cottage on an organic farm in the heart of Clare. Awarded Gold by Green Hospitality. Pure Camping See Eco-Camping above for details. Atlantic Way Lodge Situated 1 kilometre west of Carrigaholt. 4 bedroom bungalow with south-facing sunporch for rental on a weekly or weekend basis.